Way back in 1989, father and son Bill and Peter Gough, together with the rest of the Gough family, made a decision to pack up and leave their city life behind and purchase Marker Aviation Services in Mount Isa. 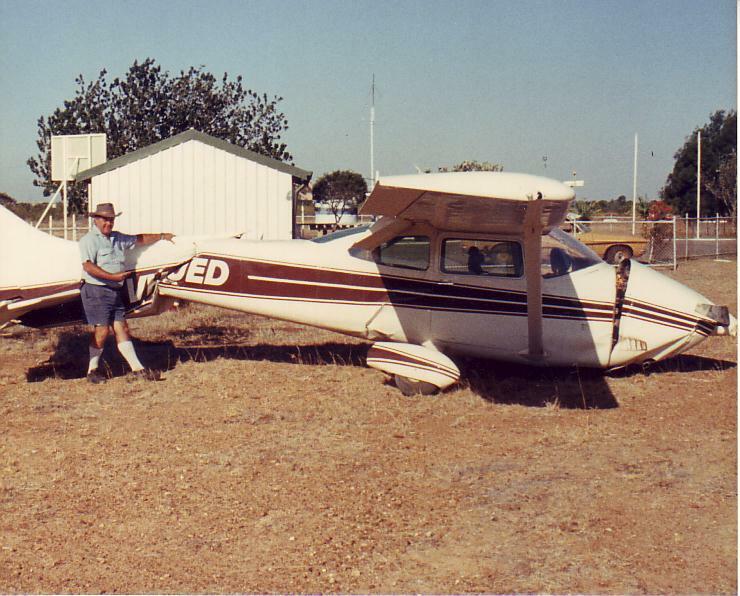 Finding it difficult to operate his flying school in Mount Isa due to a lack of aircraft engineering experience for fixed wing aircraft, current owner Brian Westin had decided to move elsewhere. The name of the business originated from original owners – Mark and Eric – who combined their names to create ‘Marker’. Although Bill originally wanted to rename the company ‘GAS’ (Gough Aviation Services), the two couldn’t agree at the time, and the name Marker Aviation Services remained. Peter Gough was the first to relocate to Mount Isa to commence the new business venture in April 1989. He left his job as an Aircraft Maintenance Engineer at Hawker Pacific Archerfield in Queensland, where he originally completed his apprenticeship. Also employed at Hawker Pacific, as the Maintenance Control Manager for Archerfield and Eagle Farm Airport, Bill Gough followed Peter soon after, followed by the rest of the Gough family a month later, and Peter’s fiancé, Stacey, in January 1990. Until that day, Bill and Peter had never worked together on aircraft before and had their varying opinions on how jobs were carried out. There were definitely some interesting and testing times had in the hangar, with father and son coming to blows over the simplest of jobs such as the correct way to grease a wheel bearing! What Bill and Peter did agree on was that it didn’t matter if the customer had a Cessna 150 or a Falcon Jet, they would treat every customer the same and provide consistent, superior service, day in day out. This guarantee of personalised, high quality services is still proudly practiced by the Marker Aviation Services staff today. In the beginning, Bill and Peter maintained small flying school aircraft and a few single engine Cessna private aircrafts from local properties. As time progressed, they started maintaining piston twin engine aircraft, and when Australian Airlines moved operations out of Mount Isa, the maintenance of the Royal Flying Doctor Service (RFDS) Beechcraft Queen Air began. The RFDS progressed to two Queen Airs for a period of time before they were replaced with two Beechcraft King Air C-90 aircraft. As the RFDS grew in Mount Isa, so did the customer base of private, charter and government aircraft. Over the years, Mount Isa has attracted nearly every different model and manufacturer of aircraft for private, charter, aerial geographical survey, aerial photography, government operations, RPT operations, flying training and medical operations, all of which Marker Aviation Services have supported. The business continued to grow and in 2000 the small, original Marker hangar was modified with the extension of a larger hangar to accommodate larger aircraft such as the Beechcraft King Air 200 and the Fairchild Metro Series. Today, the Mount Isa branch maintains all fixed wing aircraft VFR or IFR up to 8000kg under their CAR 30 and Part 145 certificate of approvals. 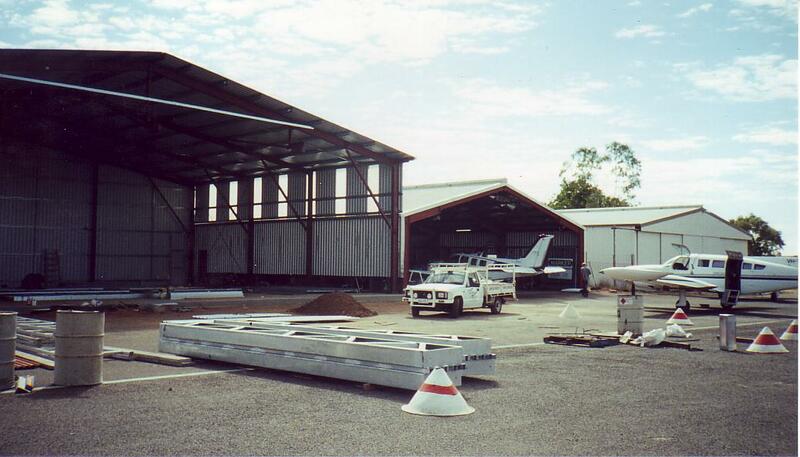 In 2009, office extensions and further hangar extensions were carried out to meet the further expansion of the business. Since 1989, Marker Aviation Services has grown substantially from Bill, Peter, an Administration Assistant and a Tradesman Assistant, to now boast six engineering staff, including Peter, and four administration staff, including Peter’s wife, Stacey. In April 2017, Peter, Stacey and the Gough family celebrated 28 years of business and have no intention of slowing down anytime soon! In 2008 Bill decided to hang up his tools after approximately 53 years in the industry, and retire in Emu Park, Qld. In March 2002, Bill Gough made the move to Rockhampton to further expand the family business to Rockhampton. 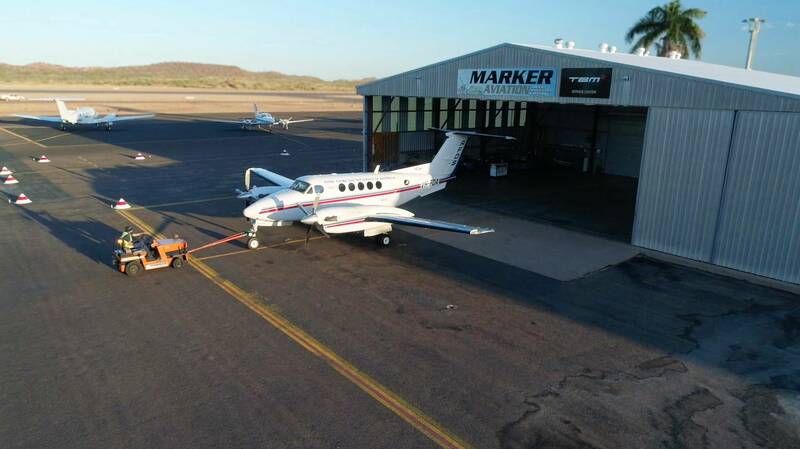 Marker Aviation Services were approached by the Royal Flying Doctors Service (RFDS) – who were taking over Air Ambulance operations - to provide aircraft maintenance at the Rockhampton and Bundaberg bases. Marker Rockhampton began with Bill Gough and one employee for the Air Ambulance at the facility, before expanding to include four engineering staff and an administration staff member. In the beginning, Marker Rockhampton maintained a Cessna 414 and a couple of Cessna 404’s. Over a period of time the piston engine aircrafts were replaced by the RFDS with Beechcraft King Air 200 series aircraft, and the Rockhampton facility maintained King Air 200’s for the Rockhampton, Bundaberg and Brisbane bases. 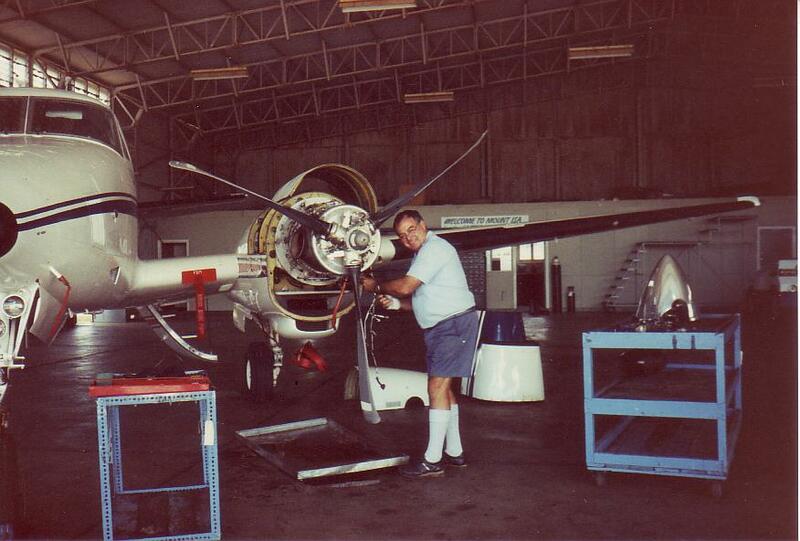 Marker Rockhampton has also been a component overhaul facility for King Air Series landing gear overhauls. 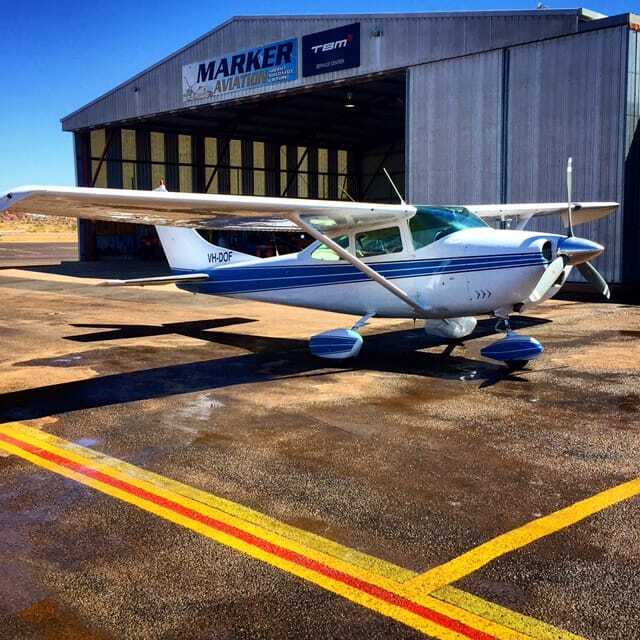 In 2016 Marker Aviation Services Rockhampton was approved for operation under the Part 145 certificate of approval. In March 2017, Peter, Stacey and the Gough family celebrated 15 years of business at the Rockhampton facility, however the Gough family ceased Marker Aviation’s Rockhampton operations in September 2017.